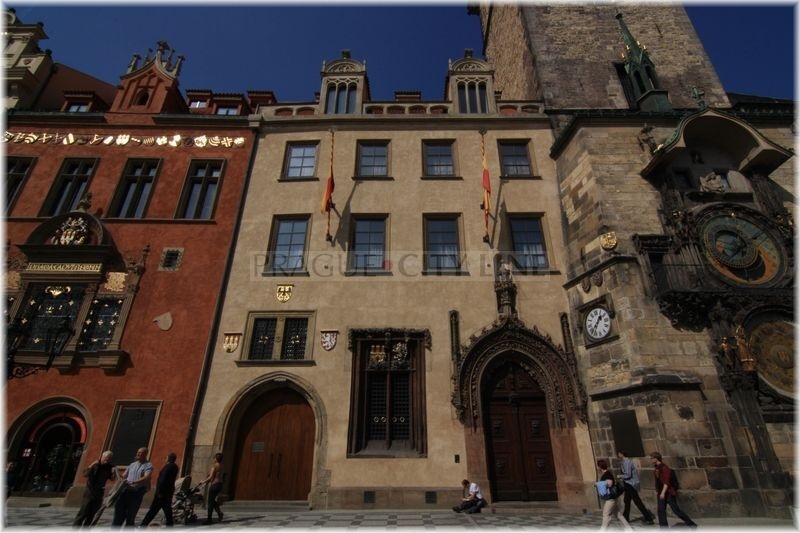 What actually is there behind the Old Town Hall walls? 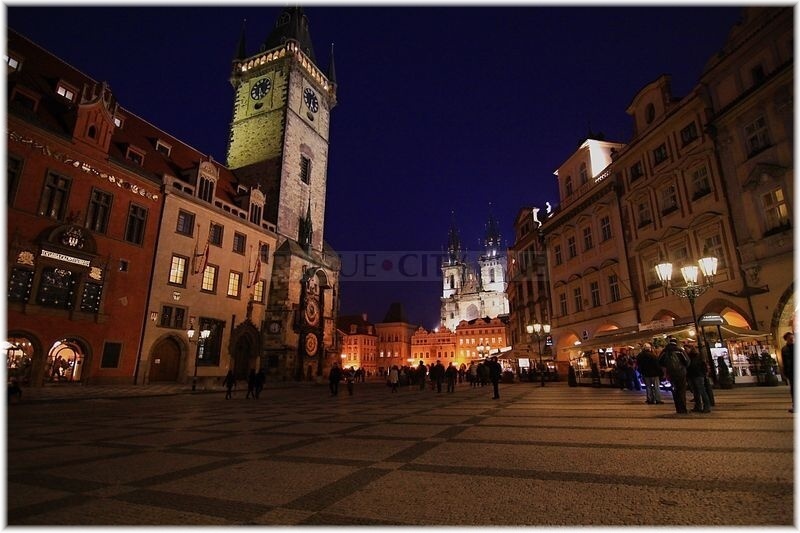 That is a frequent question that will come to you during your walk through Old Town Square (czech: Staroměstské náměstí). We will help you solve this puzzle today and believe that you will be pleasantly surprised. 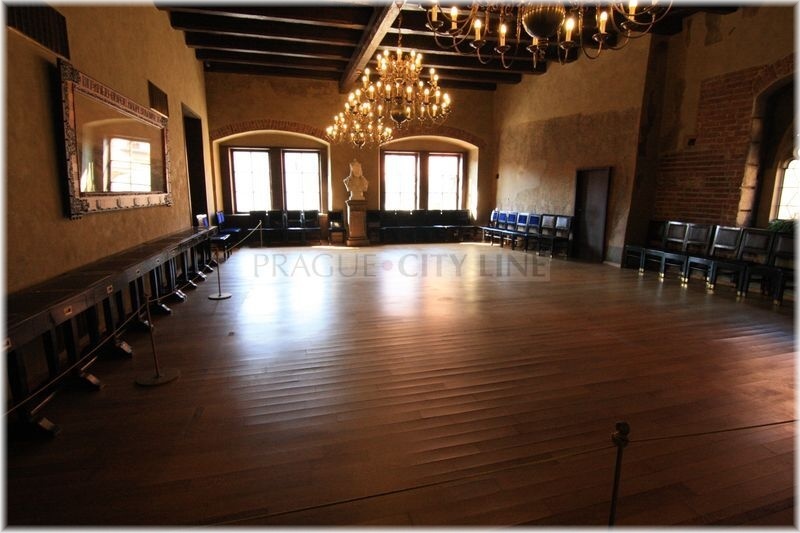 Now we will together peep into the interior of the Old Town Hall( czech: Staroměstská radnice). The most beautiful and precious premises of the Town Hall include the Town Hall Chamber. 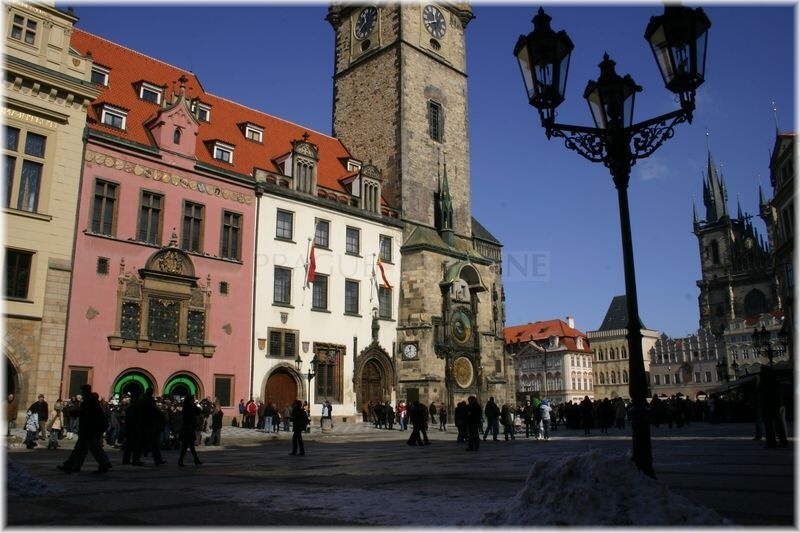 It dates back to the 2nd half of the 15th century. The entirely original 16th-century cassette ceiling is to be found here. Everyone will certainly notice the rich decorations and perfect woodcarving work. There are twelve urban and forty-six guild signs placed above the portals. The dominating feature of the chamber is the gorgeous Baroque heater. 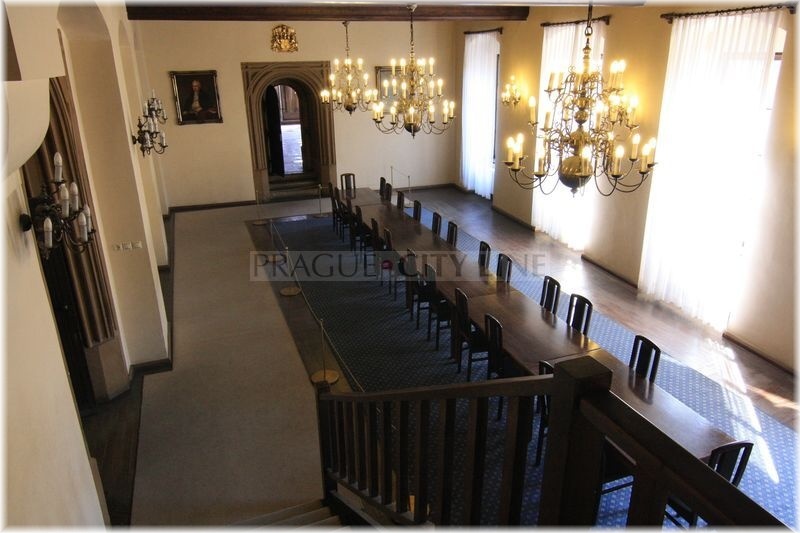 In the 2nd storey of the town hall you will find the so-called Jiříkova and Brožíkova síň (Jiřík Hall and Brožík Hall). 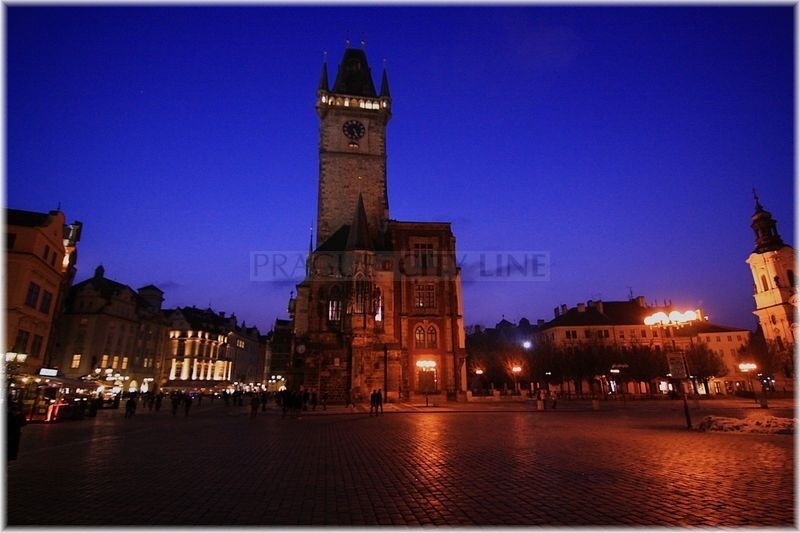 The first of them was called after King Jiří of Poděbrady who was elected King of Bohemia in 1458 there. On the walls you can view 15th-century paintings. Brožíkova síň currently serves as assembly hall. It received its current appearance in 1910. 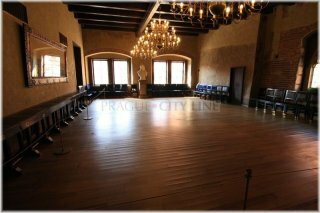 The hall is remarkable due its size because it occupies an area as high as two storeys. 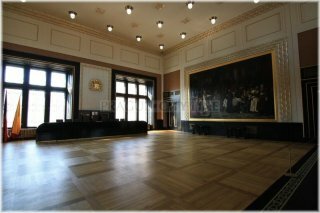 The room had been called according to Václav Brožík, the author of the oil paintings which are exposed there. 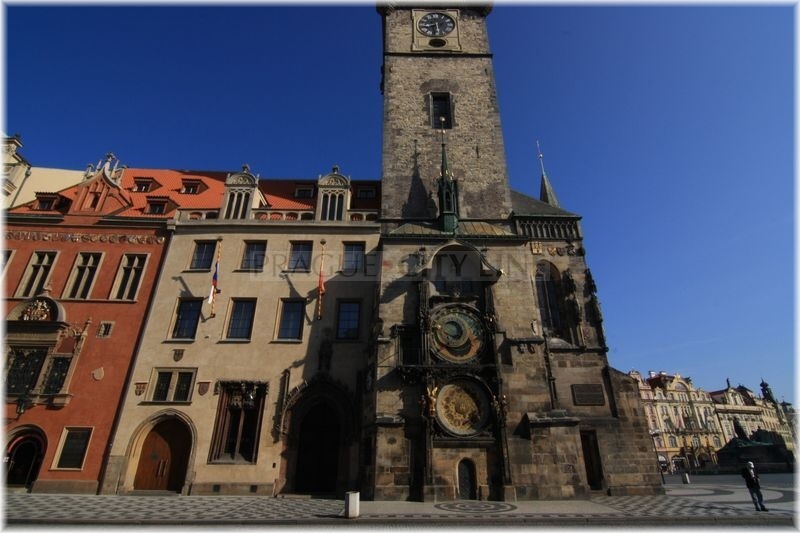 Both of these spaces are together with the Gothic chapel (where you can view the figures of the apostles of the Old Town Astronomical Clock) part of the town hall´s public seightseeing. 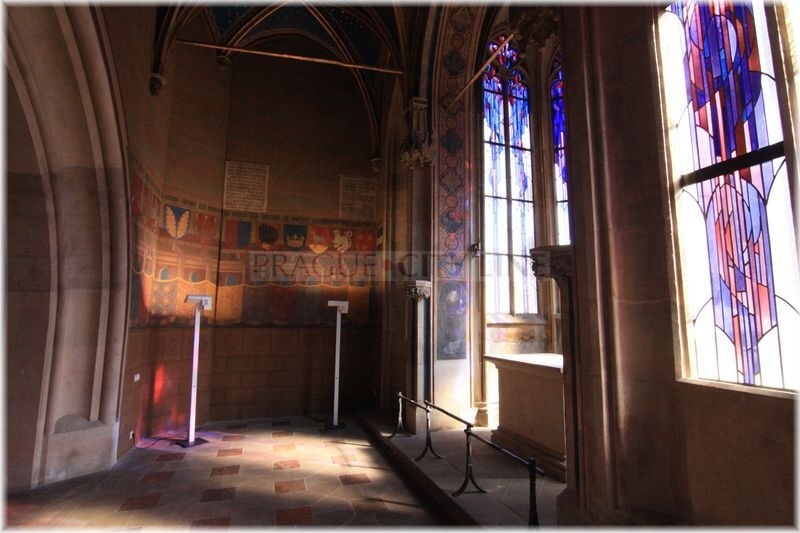 The exposition further involves the seightseeing of the Romanesque-Gothic town hall basement or a climb up the tower gallery. Right here in 1458 the Czech Estates elected Jiří of Poděbrady the new king of Bohemia. In 1784 the first visitors book was established in the town hall where significant visitors signed. The first weddings had taken place here since1871.